We are delighted to announce that Paterson’s and European Athletics Indoor Championships Glasgow 2019 have agreed an exciting new partnership deal for this year’s Championships, which comes to Glasgow in March 2019. Founded in 1895 by Mr. & Mrs. Paterson in Rutherglen, Glasgow, today Paterson’s is Britain’s number one shortbread brand, treating millions of consumers each year to its delicious range of shortbread, biscuits and cookies. Paterson’s will play a role on-site at the Emirates Arena over the three day as the Official Biscuit Supplier of the event. 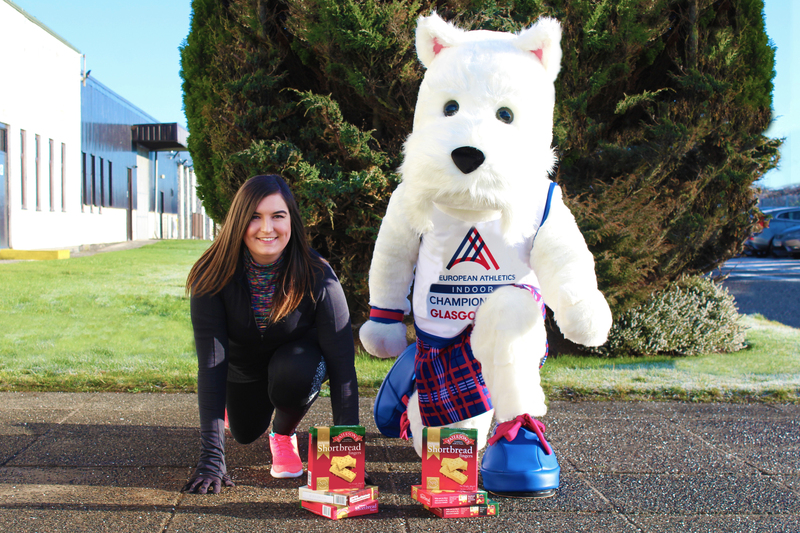 Through this, they will support a number of athletes, Championship officials, volunteers and guests with their delicious range of shortbread and biscuits, including their new Giant Jammy Shortbread and Flatjack bars. Visitors to the Emirates Arena will also be able to enjoy a Paterson’s treat, with the new Giant Jammy Shortbread available from the event kiosks throughout the weekend. Billy Garrett, Director of Sport and Events at Glasgow Life and Co-Chair of the Glasgow 2019 Steering Committee, said: “I’m delighted to have Paterson’s join us as the Official Biscuit Supplier, as they are a company steeped in such great tradition and history. Jonathan Guild, Brand Manager at Paterson’s, said: “We are delighted to be the official biscuit supplier of the European Athletics Indoor Championships Glasgow 2019, which is a fantastic celebration of sporting talent, and we can’t wait to help cheer on some of the finest athletes in the world throughout the weekend. The city of Glasgow welcomes the return of the Championship as it continues to build its reputation as a truly world class sporting city. The competition will be the second major European event held in Glasgow within twelve months after a hugely successful inaugural European Championships in August. Glasgow continues to receive global recognition for this reputation with a coveted top five ranking as a sporting destination. Paul Bush OBE, VisitScotland’s Director of Events, said: “It is great to have Britain’s number one shortbread brand, Paterson’s, on board as the Official Biscuit Supplier for the Glasgow 2019 European Athletics Indoor Championships. Shortbread is a quintessential Scottish biscuit so it’s only right everyone at the Championships has the chance to enjoy this fine treat.